Mystery shrouds the current Korean Peninsula conflict about as much as it shrouds the North Korean government itself. A few readers have asked me, "what the heck is going on up there? Why the heck did North Korea attack South Korea?" Good question! It had me thinking & reading for a bit. Why did the North Koreans sink the Cheoan? There's no clear answer for this. The government officially denies doing it (which is not surprising), but it seems a relatively irrational thing to do. To understand the most likely possibility, one must understand the politics of North Korea. At least a bit. Like most dictatorships, North Korea's government is propped up by elites (in this case, primarily military elites). And, like all governments, they faction. Long story short, Kim is old & frail, he's picked a potentially weak successor, and an opposition faction is likely trying to make a play for power. If South Korea had retaliated, chaos would ensue (North Korea would be caught unprepared for a war), and an opposition faction would have a much stronger opportunity to seize power from Kim (and likely quickly declare an end to the war by being a new regime). As such, the coup likely failed. Whether there has been a purge is probably going to be unclear, but North Korea's lack of followup to the attack (and lack of military readiness at the time of the attack) both indicate that it was not an order from the top, but rather an order from much lower on the chain of command--likely meaning some attempt at insubordination. What the heck are the Chinese doing in response? Another good question! China's response seems to be arbitrarily contradictory. By inviting Kim to Beijing (and leaning towards "no" on international reprimand in the UN Security Council), China is taking a major international hit... in particular with South Korea and the United States, two of its biggest trading partners. China seems to be encouraging North Korean aggression. But after a conference with China, Secretary of State Clinton came out speaking surprisingly rosy about China. Why? Again, we must think of Chinese politics. In a Korean Peninsula war, what does China have to lose? It cannot and will not send troops or supplies to assist North Korea, and with the help of Japan and the United States, South Korea would rout the North Korean army (though Seoul would likely take serious damage in the meantime). China would be stuck with a collapsed North Korea, and an angry (and rather economically devastated) South Korea. The collapsed North Korea would send millions of starving, brainwashed refugees into northern China--a disaster that China is not prepared to face. China's greatest concern in Korea is stability. It cannot afford a collapsed regime. This explains its stance--first, by inviting Kim to Beijing, China makes it clear to any opposition that Beijing will back Kim's faction, and help it keep power. Beijing was also likely able to get reassurances from Kim that he will purge the aggressive opposition, and also refrain from further provocations of South Korea... at least for the time being. China must also restrain from doing too much to anger Kim, lest Kim feel isolated and threatened. By befriending Kim, China gives Kim some security, allowing Kim to refrain from any foolish lashings out. Secretary Clinton understands this position, and thus was able to express confidence that China would effectively help prevent war in the Koreas. South Korea cut off trade with North Korea, and North Korea followed by severing all diplomatic and communication ties with South Korea, and put its army on full readiness. 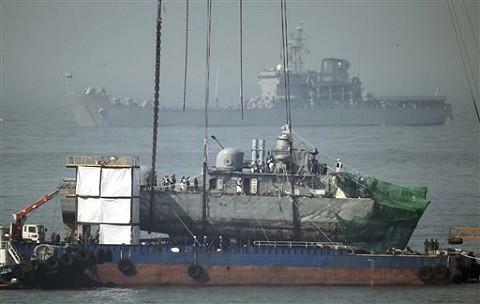 South Korea further retaliated by opening up propaganda messaging into North Korea, and participating in anti-submarine drills with the United States. The Sunshine Policy is over. For now, the conflict will drive South Korea (to some extent) away from China and towards the US/Japan. South Korea will seek stability in US strength. China will show North Korea that it is ready to defend North Korea from internal threats, but will not support it in a war against South Korea--North Korea's only rational recourse would be peace. North Korea will desperately attempt to retain face by growing increasingly perturbed over accusations that it carried out the attack. It will accuse the South Koreans of setting up the attack themselves to provoke a war (sounds far fetched as an accusation, but many Americans think the same of the 9/11 attacks). As far as war, I think it is unlikely. Neither country has a serious interest in it. Sino-American relations will not be particularly strained by this, but China will see any actions against North Korea as being a favor to the US (stacked on top of any favors that China does for the US with respect to Iran). 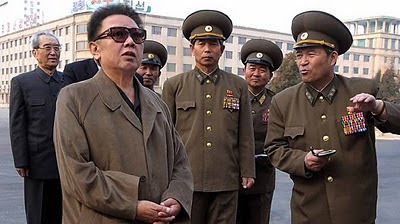 The Peninsula's best hope of a reemergence of peace might, unfortunately, be the death of Kim and a new regime leader.